Given the unusual nature of this gin botanical, it’s only natural that its story begins a little differently to many of those we bring you at Gin Lane. Hemp Gin is what we would classify as an ‘independently bottled’ gin, that is, it’s not owned by the distillery who produces it, but is made on contract for the owner of Hemp Gin, Andrew Kerrigan. Originally from the UK, Andrew’s background is in food and more specifically baking. Most recently working for a large bread manufacturer, Andrew’s focus has been on new product development (NPD). This work allowed him a lot of flexibility to experiment with new ingredients, flavours and recipes. Looking to develop both personally and professionally, Andrew began a business management degree. A fortuitous assignment (never thought we’d see those words in the same sentence!) on the course set students the task of ‘building a business’. Thinking back on his career and wondering what he would do differently if he had the chance to do it over again was an interesting exercise for Andrew. Unsurprisingly the lure of something to do with gin was too strong to resist. Andrew is clear to specify his goal in creating hemp gin, was to make a gin that would be clearly recognisable as gin. As he didn’t want to push the envelope to the point where it would be hard to identify this as gin, the juniper had to have its fundamental place. 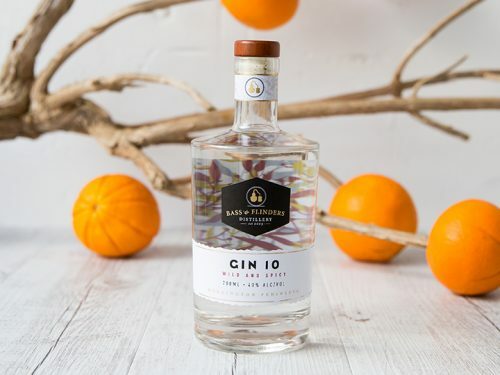 We applaud this approach and frankly while this sounds obvious, there’s plenty of debate taking place around the world on whether some gins should be classified as such, given their low juniper profile. In addition to the obligatory juniper, Hemp Gin includes: cardamom, coriander, liquorice, lemon, vanilla and hemp. Hemp Gin is distilled via vapour infusion, giving a little more control over the botanical profile, a pretty critical factor when dealing with hemp, which could quickly become overpowering otherwise. As Andrew pointed out, some of his early experiments with the hemp produced a spirit not dissimilar to drinking a liquid chickpea dahl! Not entirely unappealing for a meal in our book, but perhaps not what you’re looking for in a gin tipple. We should point out there is one key thing that this gin definitely won’t feature, which is THC, the psychoactive constituent of cannabis. The only high this gin will be providing is through flavour and enjoyment, as with any great gin! To kick your own tasting experiments off, we recommend you pour some neat over ice to start. The ice will keep some of the heavier savoury notes from the hemp gin in balance while you’re getting to know this for the first time. By all means, work on from this to a neat tasting without the ice, which will make that earthy, savoury flavour become more prominent. On the nose you’ll find some of the lighter, fragrant, citrus and juniper notes. This extends to your first taste also, where the juniper comes through first at the tip of the tongue. It’s only as the gin sits on your palate for a little while before the hemp follows through at the back of the palate. The hemp provides lingering earthy flavours of beans and lentils. Rounding out and balancing these is some mild sweetness from the vanilla, liquorice and cardamom. 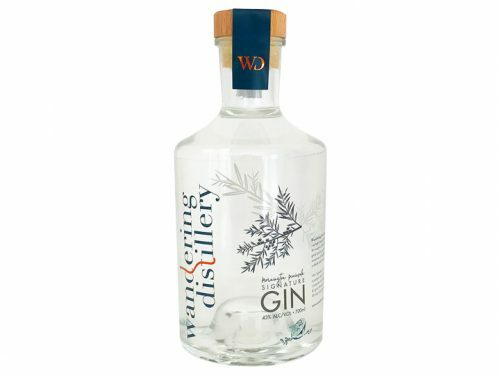 We’d call this a savoury gin and as such it stands out from some of our typical Australian gins. This is a good thing as far as we’re concerned and will spice up your collection with added variety. Once you’ve taken the time to get to know the hemp in your new gin, feel free to move onto a G&T… we know you will anyway! You’ll want to steer clear of any sweet tonics. 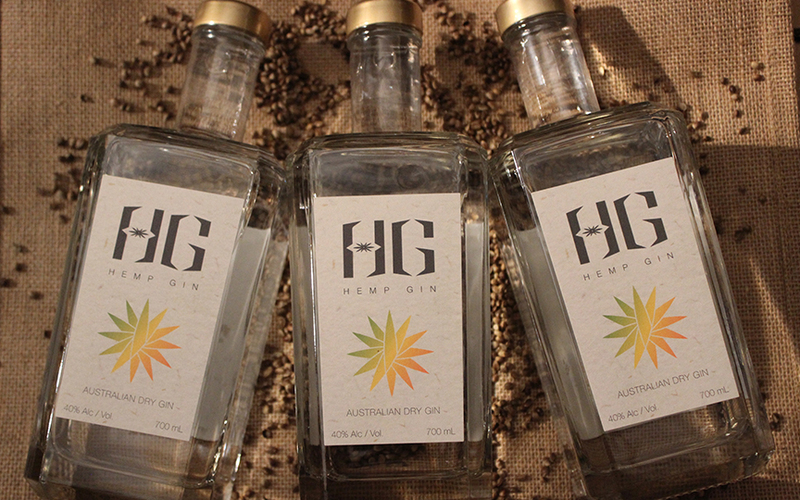 Your favourite premium dry tonic will be a perfectly decent match for Hemp Gin. 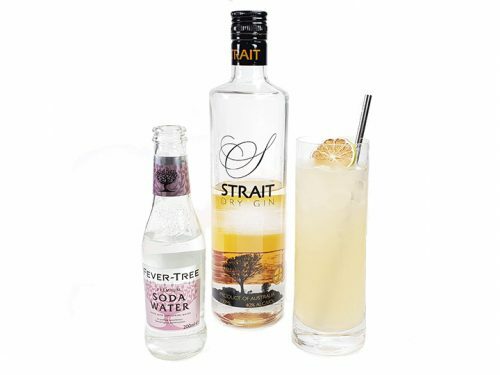 If you love experimenting with different tonics, we’d recommend you give Capi’s low sugar native tonic a crack with this, as well as Fever Tree’s Aromatic tonic water. For your garnish you can raid the salad drawer for a celery stick as the perfect accompaniment. Celery will complement the savoury aspects of your hemp gin, with a little light bitter pepperiness. On the cocktail front we have 2 classic options for you that will absolutely nail the savoury notes of this gin. Depending on where your tastes lay, we recommend a classic negroni, or a dirty martini. If you’ve been waiting for a super gin to try either of these cocktails with for the first time, there’s no better place to start than with Hemp Gin.